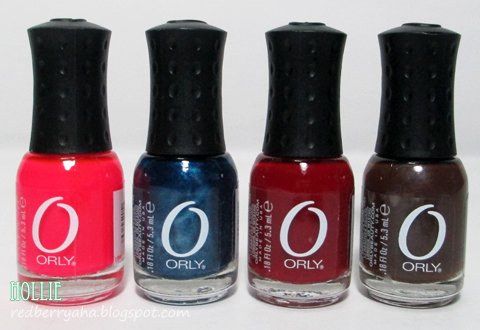 I was absolutely ecstatic when I found out that Orly has a Mani Minis Collection. These tiny nail polish bottles are absolutely adorable and very handy to carry around. I think buying a couple of these is an awesome gift idea for your girl friends. Each Orly Mini contains 5.3ml of product just enough for you to get a good use out of it. These are my first Orly nail polishes and I now understand why nail enthusiasts loves them. 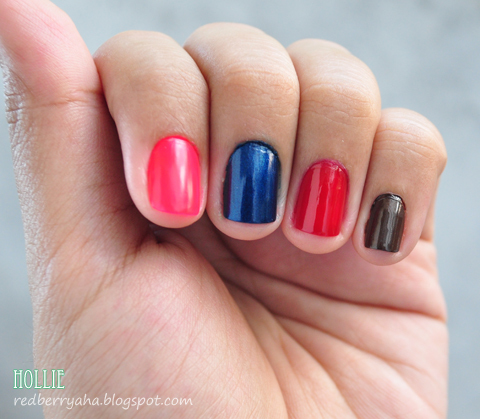 Orly polishes do not chip easily even without a base coat and top coat. My favorite among the bunch is Witch's Blue. It's just that I really love blue nail lacquers. I personally think that blue polish makes my hands brighter. 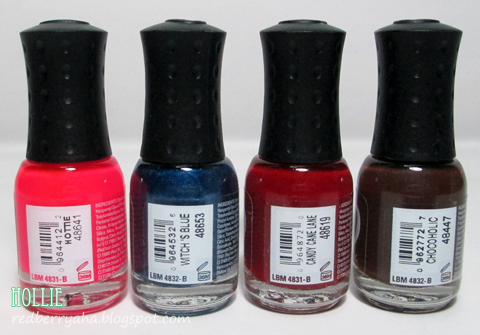 The Orly nail lacquers are easily available in Malls. If you love to shop online, you can check out Zalora as they carry wide range of beauty products which includes Orly products. shopping early for Christmas Presents and avoid the rush. 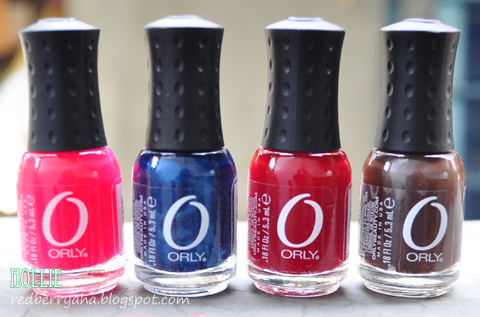 Do check out Orly Philippines facebook page for more information. Hottie and Candy Cane are gorgeous! Can I be your friend too? Haha!